As 2012 came to a close, I really enjoyed my opportunity to tackle every Resident Evil, Tony Hawk, Kingdom Hearts, and Wario game ever. In 2013, I took on Mega Man Classic, Mega Man X, Devil May Cry, God of War, and the two new Zelda games. Before I embark upon the journey of gaming in 2014 however (and all of the Quests that it entails), I have one more Carter's Quest to share with the world. The original Metroid, Metroid II, and Super Metroid were among my first ever gaming experiences. Although they were years part and on completely different systems, I felt like they all added to my growth as a gaming enthusiast. They all taught me how to observe my surroundings at all times, which would come in handy for Demon's and Dark Souls years later. They instructed me on the art of cartography, and helped me understand world maps and minimaps for years to come in various RPGs and MMOs. They also helped my twitch skills, which would assist me in my competitive FPS days. But most of all, they allowed me to escape to another world whenever I needed them to, because it wasn't hard to get sucked into a Metroid game. 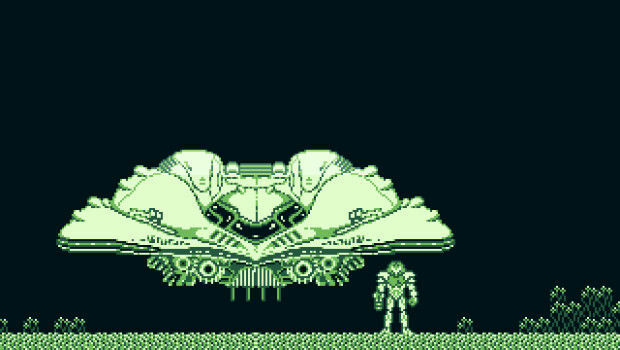 A really cool factoid about the Metroid series is the realization that there were never more than two Metroid games for any given console or handheld -- a true testament to how the series never truly feels over-saturated. It's also one of the first games to ever feature a formidable female protagonist, so it was even culturally relevant at the time. Some games I didn't know all that well until I replayed them, and for those, I'll provide an "extended thoughts" section for each applicable entry. The concept of granting players permanent upgrades was not a standard mechanic back in the NES era. 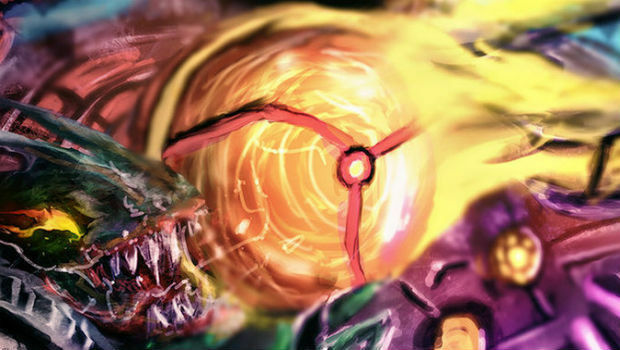 Most games relegated themselves to temporary, fleeting power-ups -- but not Metroid. Getting the Morph Ball and the Screw Attack was a life-changing experience. You actually felt like you were achieving something permanent as you went on your journey with Samus. Another cool aspect of the game is the fact that you essentially "level up" by beating bosses to extend your ammo count, and finding Energy Tanks to increase your HP. 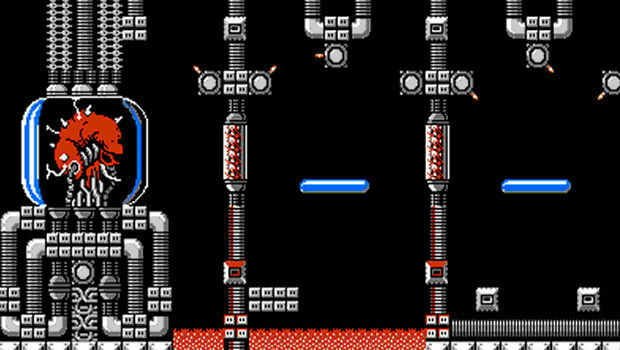 In addition to the sprawling open-world map, Metroid also introduced a concept that was fairly unknown to the gaming world, intended or not: sequence breaking. In a nutshell, sequence breaking is the idea of going to areas "you're not supposed to go to yet" in order to progress through the game, and/or locate new items. This concept would be perfectly realized in Super Metroid, and would slowly cease to exist as game design progressed into more complicated overworlds. I'll fully admit: even though I play this game regularly, it has not aged well. Those who want to experience Samus' initial outing will most likely want to spring for Zero Mission, which is a re-imagining of the canon, and a remake of the first game. Return of Samus was an odd game indeed. In fact, it's potentially the strangest (and most confusing) game in the entire franchise. Part of the reason is due to the small screen of the original brick Game Boy, among many other facets like a confusing world map, similar-looking areas, and more vexing design choices. Even still, hunting down the titular horrifying creatures was both scary, and fun. You basically spend the entire game hunting various incarnations of Metroids, which gives it a distinct survival horror feeling to it, that isn't as easily replicated throughout the franchise. 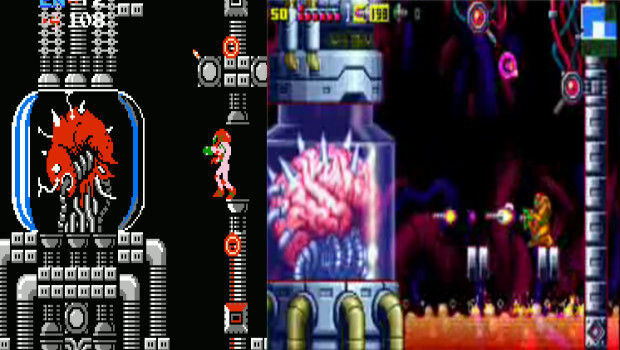 There are two new weapons (the "spread-like" Spazer Beam and the Plasma Beam), and new moves like the Space Jump, which allowed you to jump to an infinite degree, or the Spider Ball, which allows Samus to attach to walls. You also start with the Morph Ball, which is a nice touch to provide some continuity from the first game. 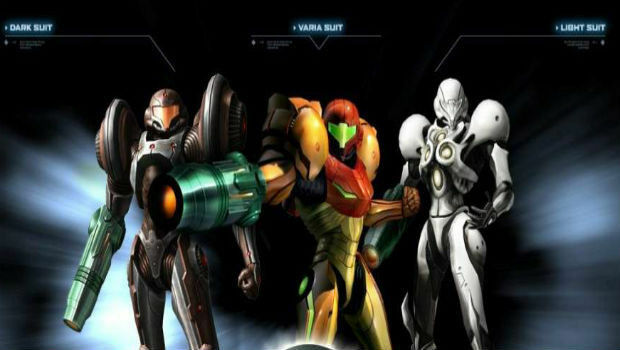 As a funny bit of trivia, there were technical difficulties that led to the redesign of Samus' Power and Varia suits. 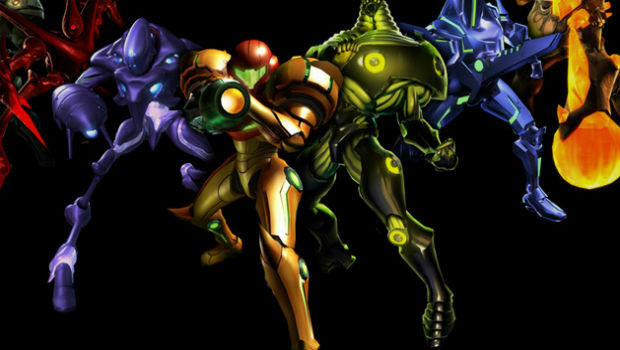 In the original game, these two suits were differentiated by color; seeing as that wasn't an option on the monochrome Game Boy, the Varia suit was updated with rounded shoulders. Years later, developer Nintendo R&D1 would help create the Game Boy Color -- a device that would have basically solved this issue -- had Metroid II Color not been cancelled. I could basically just say "Super Metroid was one of the greatest games ever created," drop the mic, and I know it would satisfy everyone (especially former Destructoid Editor Chad Concelmo). But instead, I should probably talk about why this game is so great. I still remember the day I got Super Metroid. I remember coming in fairly reserved, as the intro area was a bit slow. But once I landed on Planet Zebes, I was utterly hooked. I played it all day long, and even snuck out of bed to play it past my bedtime. It was one of the longest, and earliest gaming marathons I've ever had in my life, and the telling part of this personal story is the fact that I was playing it two weeks later, at about the same frequency. I would map out my progress, share tips with my friends, and race for that perfect 100% rating. Speed runs; 100% runs; you name it, I ran them. 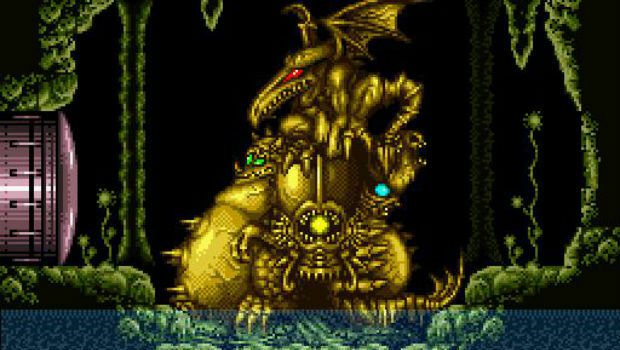 Although there are a boatload of reasons why Super Metroid is one of the best platformers of all time, I'd probably give credit to the vibrant, living and breathing world of Zebes first and foremost. I mean, my god guys, Zebes is one of the most wondrous videogame realms ever designed, and exploring every nook and cranny was a privilege that is rarely replicated even today in my gaming career. Fusion is yet another solid entry in the series. We're already four games in, and we're still going strong here. At launch, Fusion was yet again well received by critics and buyers alike, namely due to the drastically new art direction and solid gameplay. If I had to describe it, I would probably call it a portable Super Metroid -- and that's quite the compliment. Because Samus was injected with the Metroid vaccine, it has a real "Alien Resurrection" feel to it, in which she comes full circle with the creatures she once hunted. There was also a neat little Nintendo extra that involved GBA and GameCube functionality, which unlocked the Fusion suit in Prime, and the original Metroid game. Sadly, the only way to get this outside of tracking down the cart is to obtain it through the now defunct 3DS Ambassador program. Right now, Nintendo has no plans to release the gifted GBA games -- which includes Metroid Fusion. Nintendo could have had a disaster on their hands when they brought Metroid into the 3D realm for the very first time. Coupled with more mature themes and distinct survival horror tones, there was even more of a chance for a disastrous release. In fact, fans decried the game when it was announced, saying that Nintendo was pandering to the FPS crowd and that the game would be garbage (I totally remember this). Fortunately, Retro Studios (and producer Shigeru Miyamoto) did right by the franchise -- Metroid Prime took the world by storm. Billed as a "first person adventure" game by Nintendo themselves, Prime wasn't simply an FPS in the raw sense of the term -- it offered a full 3D adventure in the same vein as the King's Field series -- but with that distinct Nintendo charm and polish. Also, the game is canon, and takes place after Metroid, and before Metroid II. Zero Mission is criminally underrepresented and underplayed. It's also one of the hardest games in the entire franchise to find, since the only possible way to play it is through tracking down the original cart. This game is prime for a re-release, although the GBA is stuck within this nebulous state right now where Nintendo isn't headlining it on the 3DS Virtual Console, so good luck with that. Anyways, Zero Mission is an ace remake of the first game, plain and simple. In fact, I'd say that it's probably the best game in the entire series to select as a "starting point" for new fans, as it acclimates them to the very start of the storyline, and contains updated gameplay in stark contrast to the admittedly dated original. Although it is a remake, it does have new items and all new areas to explore, which makes it worth beating in tandem with the original (hence why I'm including it here!). Also, it's the first game that features Samus playable without her suit, and the first time any system ever housed two Metroid games (the GBA had this and Fusion before the GameCube hosted Prime 1 and 2). Prime 2 is probably my least familiar game in the series, and one of the only ones I haven't completed. I don't remember what happened around Prime 2's release, but I was extremely busy, and never really got around to playing it. While Prime 1 came at the perfect time, when I was hurting for GameCube games, and Prime 3 when I was hurting for Wii games, 2 was always kind of a non-issue for me. 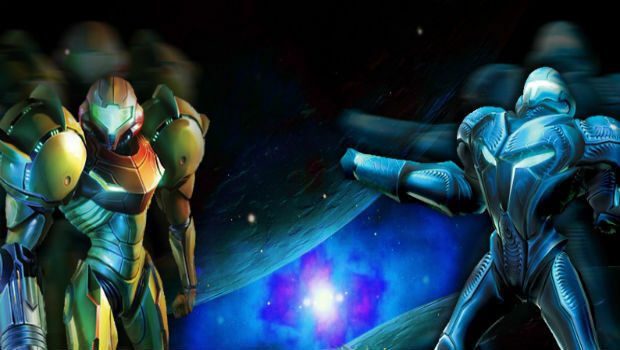 So, in 2013, the time of reckoning will come for Metroid Prime 2: Echoes. 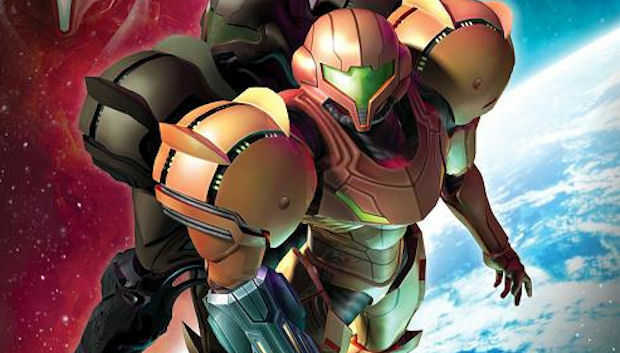 Metroid Prime 2 delivers just about everything you'd want out of a sequel. It's one of the best sequels ever, in fact, as it offers up all the great gameplay from the original with its own signature mark on the franchise. It's a gorgeous-looking game even today, and best of all -- it's probably one of the harder games in the series. Outside of the notorious Sky Temple key hunt (a task I usually loathe in Nintendo games), it's a gem. What can I say about this game that couldn't be communicated in the title. It's pinball, it's based on Metroid Prime, and it uses the DS' two screens to replicate a full board. The idea allegedly came along when Kensuke Tanabe, Producer for Nintendo, thought that Mario Pinball Land would be a no-brainer combination with Samus' Morph Ball form. So basically, he was allowed to make a game because of that, and it came with a Rumble Pak (for the first time on the Nintendo DS). Yep, it's pinball. Although there are a number of cool minigames inside each pinball machine theme, you've basically seen this before. Of course, that doesn't mean it's a bad pinball game -- it's actually quite good. Everything is very smooth, from the controls to the animations, it's very cheap if you find a used copy, and it works on your 3DS -- what's not to love? 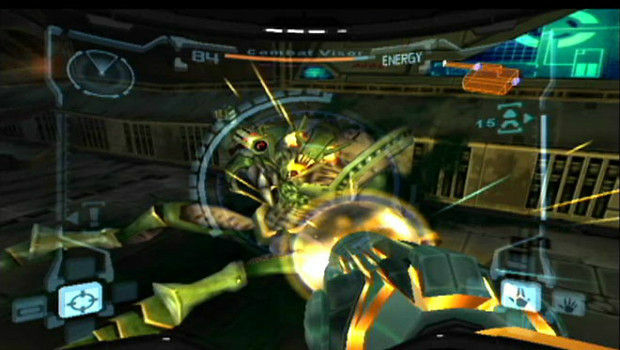 Hunters is essentially an attempt to replicate the Metroid Prime console experience on a handheld, taking place in between Prime 1 and 2. In many ways, it succeeds -- in other, more obvious ways, it falls short. One of the key criticisms was the control scheme. If it wasn't busy giving you carpal tunnel, it was being finicky. But if you can overcome that hurdle, you'll find a fairly well put together Metroid-styled handheld FPS, with a decent multiplayer mode (with bots!). Although I never finished Hunters (I had way too much going on in 2006), I'm ready to finally tackle it in 2013 as part of my Quest. Hunters, like Kid Icarus: Uprising (a game that I adore, by the way) feels very weird if you have giant hands, because they can cramp very easily by using the ideal control scheme. But you know what, the controls actually work, and they work well. But that's not the issue here: the problem is the game feels too bland all around. At times, it doesn't even feel like a Metroid game, which is a huge problem. Sometimes, outside of turning into the morph ball and frolicking around, I completely forgot I was playing as Samus. I understand what they were trying to do, when they set off to create a portable version of Metroid Prime, but in the end, it's unremarkable -- the only game in the series I'd use that word to describe. The Nintendo Wii has officially been out for about seven years now. 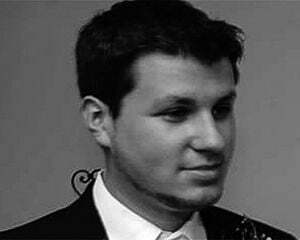 In that entire time, only two Metroid games were released for it, and only one of them wasn't polarizing. Metroid Prime 3 was the golden child of the two. Like the first two Prime games, both the press at large and gamers alike ate it up. Pretty much everyone (myself included) fell in love with the new IR-heavy control scheme due to the change in pace, and the mesmerizing visuals. The voice acting also wasn't terrible like Other M, which made the poor voice work presented in that title years later all the more strange. Hell, it's not just the voice acting, or even this game in particular: the entire Metroid Prime series is a collective gem. If you haven't played it, get on it. The stock game is not that hard to find, but if you're gunning for the limited-run Metroid Prime Trilogy, plan on spending at least $50 for just the disc. Luckily, I got it at launch. Other M gets a bum rap. There, I said it! After nearly six months of listening to people who dumped on it and taking their word at face value, I finally decided to pick the game up due to a deal I couldn't resist ($20, which is now more like $5). During the course of that day, I fell in love with it, despite all of the negative press it had thus far. You see, Other M has a lot of problems -- but for me, most of them are not gameplay related. Yes, it relegates Samus into an undesirable collection of tropes, and nearly ruins the character. But personally, I was able to ignore this part of the game by muting every cutscene during the experience, essentially treating it like every other game in the series that has a fairly light narrative. If you come at it at that angle, it's a much more enjoyable videogame. Gameplay-wise, it feels pretty solid, boss fights are extremely fun, and I personally enjoyed the art style quite a bit. I seriously doubt Team Ninja will have the chance to make an Other M 2, but I'd love to see them tackle a new IP using a refined version of this engine. But I still appreciate Other M for what it is. While the Prime trilogy reinvented Samus for a new era, Other M will forever remain, for me, as one of the more interesting games in the franchise -- for better or for worse. As a fan, what would I like to see out of the franchise in the future? Well, another game for the Wii U or the 3DS would be a great start. I don't mind that Retro Studios is working on a sequel to Donkey Kong Country Returns (a franchise I love even more than Metroid), but of course at some point, it would be nice for the Metroid masters to get back to the grindstone. 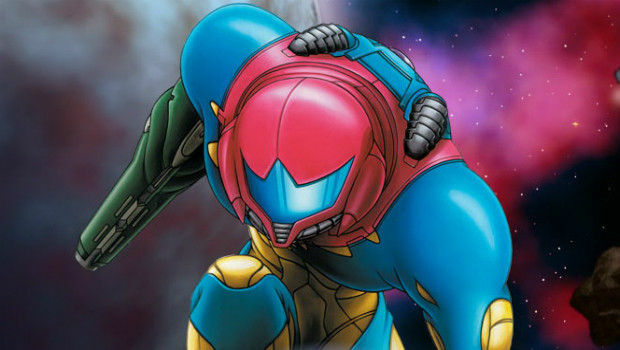 What I want is for Nintendo to give us a real, raw 2D Metroid that isn't a hybrid like Other M. I enjoy the Prime games but they stand on their own, and since the Wii triple-pack can be played on the Wii U for years to come, they can be cherished. Just like how Donkey Kong Country Returns re-ignited a long-gone platformer spirit of the franchise, a Metroid Returns, if you will, could do the exact same thing. 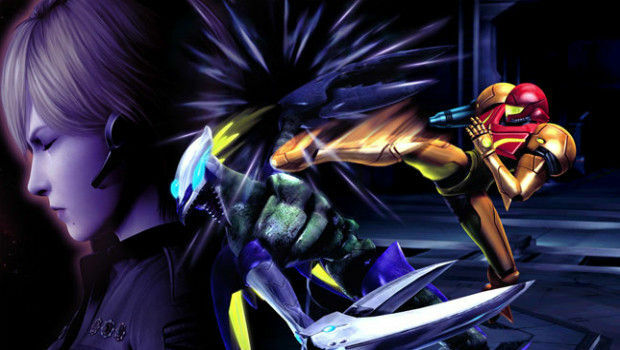 It could even star someone other than Samus and take place during another game (like Super Metroid), which would allow new players to acclimate to another hero while blowing fan's minds in the process (start off the game with Samus or just the suit, and have the game actually be about someone else, Metal Gear Solid 2 style). While we're at it, it would be nice if Nintendo did a little more for the series in general. 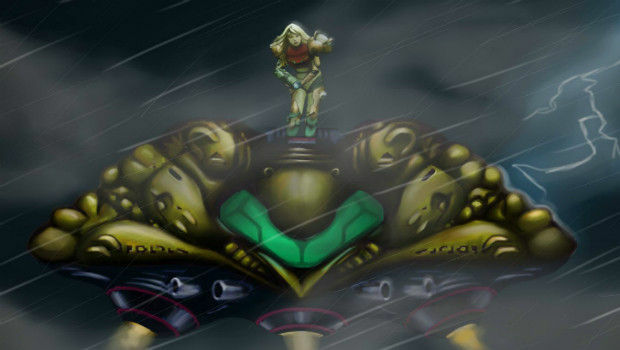 We got all sorts of celebrations for Zelda's 25th anniversary, but absolutely nothing was done for Metroid. There's hardly any merchandise for Metroid in the Club Nintendo store, and I even had trouble finding any sort of official products for the series in general. Nintendo, the fans are out there -- if you build Metroid a venue, they will come.